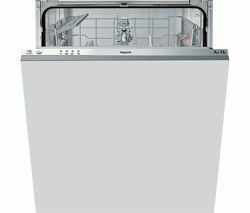 The Hotpoint dishwasher range of full size and slimline machines are designed to fit neatly into any kitchen. Using the very latest cleaning technology, they could save you up to 10 days a year compared to washing by hand. 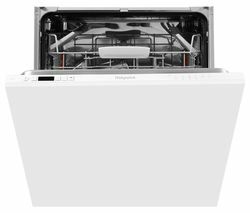 Our Hotpoint dishwasher range includes full size dishwashers big enough to clean up after large dinner parties, and built-in dishwashers for a clutter-free, streamlined look. For kitchens short of space, Hotpoint’s 45cm-wide slimline models are designed to slip into the tightest of spaces while still able to wash 10 place setting - more than capable enough to meet family needs. Hotpoint dishwashers utilise the very latest in cleaning technology to save energy and get your dishes sparklingly clean, while caring for them too. Flexi-load racks are fully height adjustable to allow you to adjust space to suit each load, for a truly efficient wash. The ultrafast Speed 25 function gets your dishes done in just 25 minutes. Zone Wash automatically concentrates water pressure to the selected zone for a 30% cleaner was than an intensive cycle. For a smart helper in the kitchen, Hotpoint dishwashers save you and your family time, energy and money, while they take care of the daily dishes.